Edinson Cavani appeared to know that Benjamin Pavard would have a huge future in front of him after playing against the youngster three years ago. After Paris Saint-Germain‘s 6-1 Ligue 1 hammering of Lille in 2015, Cavani gave the then 19-year-old a moment to cherish for the rest of his career. 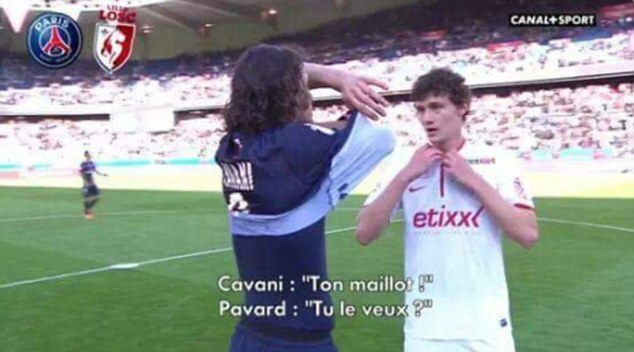 Despite Pavard only playing 15 minutes as his team were humiliated by the French giants, Cavani was so impressed by the Frenchman’s cameo appearance that he even asked for his playing shirt. 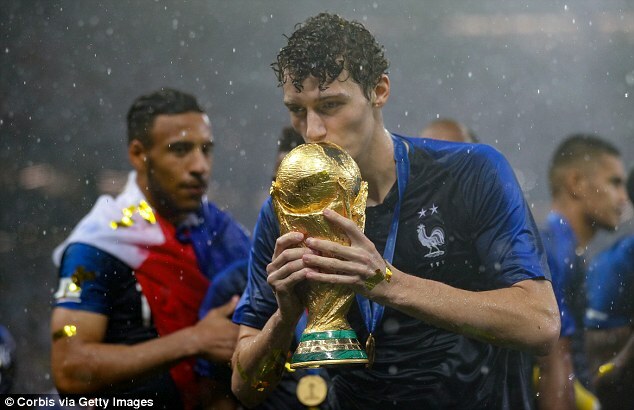 And three years on, Pavard has risen to such heights that he won the World Cup with France this summer. Stuttgart star Pavard, who is predominantly deployed as a centre back, featured as a right back throughout the tournament in Russia but still managed to impress, attracting heavy interest from the likes of Bayern Munich. And his fine tournament was capped off by winning goal of the tournament for his stunning strike against Argentina in the round of 16. 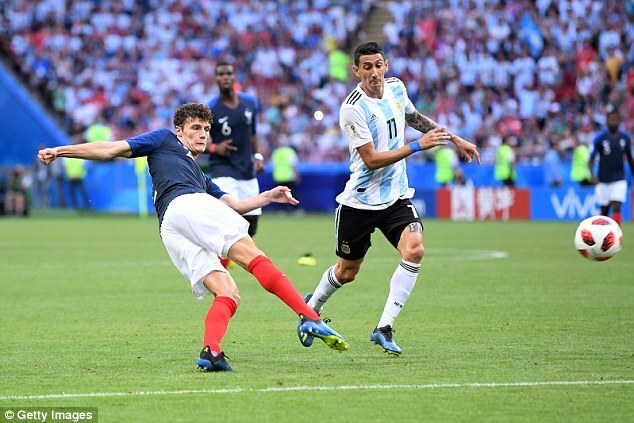 Pavard struck an audacious first-time half-volley from the edge of the box, with the ball swerving inside the top corner past a helpless Franco Armani. And after news emerged of Cavani’s gesture to Pavard, fans flocked to social media to praise the Uruguayan. How old is Croatia president Kolinda Grabar-Kitarovic, what year did she marry and which year did she get elected?